Bring your family for a morning of fun! 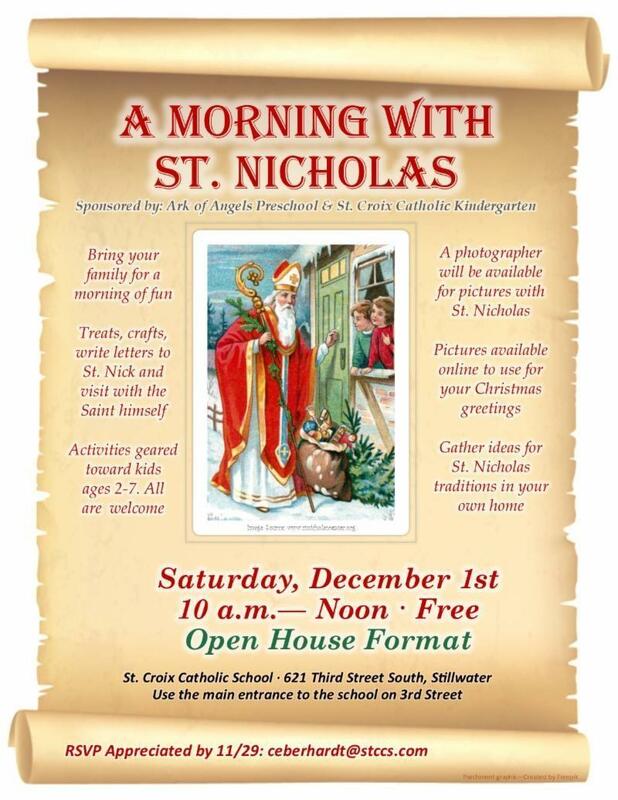 Treats, crafts, write letters to St. Nick and visit with the saint himself! Get your family photo taken with St. Nicholas. Photos will be available online after the event so you can order Christmas greetings. Gather ideas for St. Nicholas traditions in your own home. Activities geared toward kids ages 2-7; all ages welcome.